The global market for smart transportation has been gaining immense growth in the last few years. The rising population and the high rate of demographic growth are some of the major factors accelerate the growth of the global smart transportation market in the coming years. Governments, across the globe have been investing heavily to promote smart transportation, which is projected to encourage the market growth in the coming years. The increasing adoption of E-flexi payment systems and the tremendous rise in the use of mobile phones are further projected to accelerate the overall growth of the global smart transportation market in the coming years. In addition to this, the rising demand of safety system and integrated security for enhancing public safety is predicted to encourage market growth in the near future. In the last few years, Europe has been leading the global smart transportation market and is estimated to remain in the similar position in the next few years. The increasing rate of digitalization in diverse industries is one of the key factors projected to accelerate the growth of the Europe market in the coming years. Furthermore, the competition among the leading players operating in the smart transportation market across the globe is projected to get intense in the next few years. The favorable government initiatives and the increasing concern for environmental protection are projected to enhance the growth of the market in the near future. Moreover, the rising research and development activities are further expected to enhance the growth of the global smart transportation market. The global market for smart transportation is estimated to grow at a healthy pace in the next few years. The rising number of initiatives by governments in several emerging economies for smart cities is projected to encourage the growth of the overall market in the forecast period. In addition, the rising investments in the transportation sector and rising level of competition among the leading players are anticipated to contribute towards the development of the global smart transportation market in the next few years. The increasing urban population and the rising concerns related to the environment protection are the major factors that are projected to augment the growth of the global smart transportation market in the coming years. In addition, the high rate of demographic growth and the increasing adoption rate of smart and connected technologies are projected to accelerate the overall development of the market in the next few years. 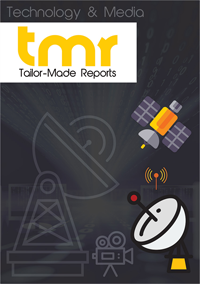 However, the unavailability of uniform standards and technologies is estimated to curtail the growth of the global smart technologies market in the near future. In addition, the lack of required ICT infrastructure, network, and interoperability in several emerging economies are predicted to hamper the growth of the market in the coming years. Nonetheless, the increasing number of government initiatives to encourage the concept of smart cities is likely to accelerate the growth of the smart transportation market across the globe. The tremendously rising use of mobile phones and the increasing adoption of E-flexi payment systems are projected to generate promising growth opportunities for the key players operating in the global market for smart transportation. Moreover, the rising number of analytics-based transport solution providers across the globe is estimated to accelerate the market’s growth in the next few years. Among the key regional segments, Europe is anticipated to lead the global smart transportation market throughout the forecast period. This region is likely to hold a massive share of the overall market, thanks to the high rate of digitalization in diverse industrial verticals. In addition, technological developments and the increasing rate of adoption of smart connected devices are estimated to accelerate the growth of the Europe market in the next few years. Furthermore, the presence of a strong government vision encouraging the development of smart transportation systems and the development of network infrastructure are estimated to encourage the growth of the smart transportation market in Europe throughout the forecast period. The global market for smart transportation is extremely fragmented in nature, with a presence of several players operating in it. With the rising number of players estimated to enter the market in the coming years, the market is likely to witness a high level of competition among the leading players. Some of the leading players operating in the smart transportation market across the globe are Tomtom International Bv, General Electric Company, Kapsch Trafficcom AG, Cisco Systems, Inc., Thales Group, Siemens AG, International Business Machines Corporation, Alstom SA, WS Atkins PLC, Q-Free ASA, LG CNS Co., Ltd., Cubic Corporation, and Indra Sistemas, S.A. The key players in the market are emphasizing on advancements in the technology in order to enhance their presence across the globe and attain a leading position in the market. In addition, development of new product, innovations, and the rising number of mergers and acquisitions are anticipated to encourage the growth of the overall market and benefit the leading players in the global smart transportation market in the next few years.